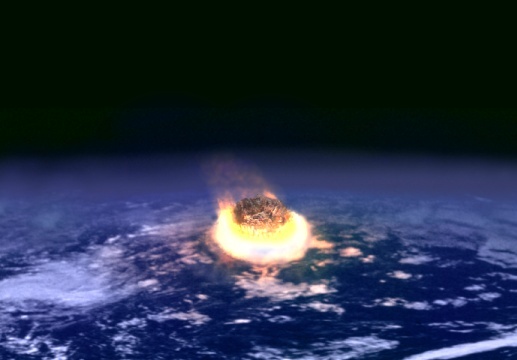 English: Description: Illustration of an en:impact event. Source Made by Fredrik. Cloud texture from public domain NASA image. Quelle Übertragen aus en.wikipedia nach Commons durch Vojtech.dostal. This work is based on a work in the public domain. It has been digitally enhanced and/or modified. This derivative work has been (or is hereby) released into the public domain by its author, Fredrik. This applies worldwide. Fredrik grants anyone the right to use this work for any purpose, without any conditions, unless such conditions are required by law.